The first roses have sprung into bloom in the garden. The scent from the smaller rose is absolutely divine! 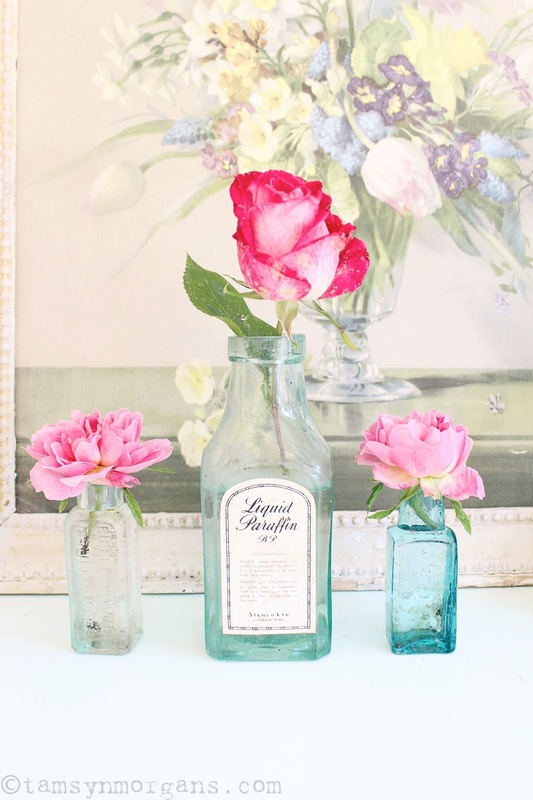 What better way to display single blooms in than these old bottles that I bought at the car boot fair last weekend. I love the liquid paraffin one with it’s original label, and regret not picking up the other one that was also in the box! The weather here is not meant to be so good this weekend, so we shall get busy in the craft room. I’m still snapping some of my finds from last weekend, so please do pop back!